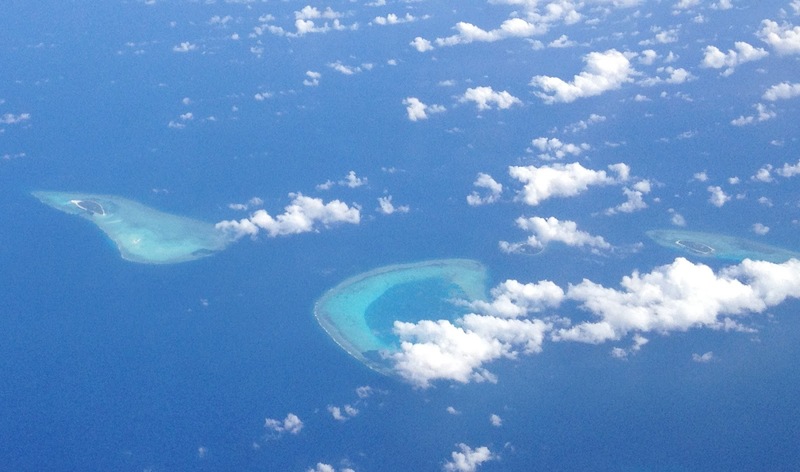 I took this picture of these islands on the flight from Hong Kong to Singapore. Seen from above, they were absolutely beautiful. The route did not cover the Maldives, although these islands look like some of those in the country to me. I should have checked the on-screen flight details on the plane to see where they were.